As a child I loved Barbie and it’s so nice to see that she has survived the test of time and is still just as popular with children now. My girls go crazy over Barbie, it’s like she is seen as a grown up doll and they feel like big girls. We were recently sent the Barbie Deluxe Colour Specialist Styling Head and I thought Alice was going to explode when she saw it. It was everything she loved! I have to say that I wanted to have a go too, as there is so much that comes with it and you do feel like a proper stylist with the tools that come with it. Alice loves combing her hair and she likes that Barbie has a pink brush, just like hers. 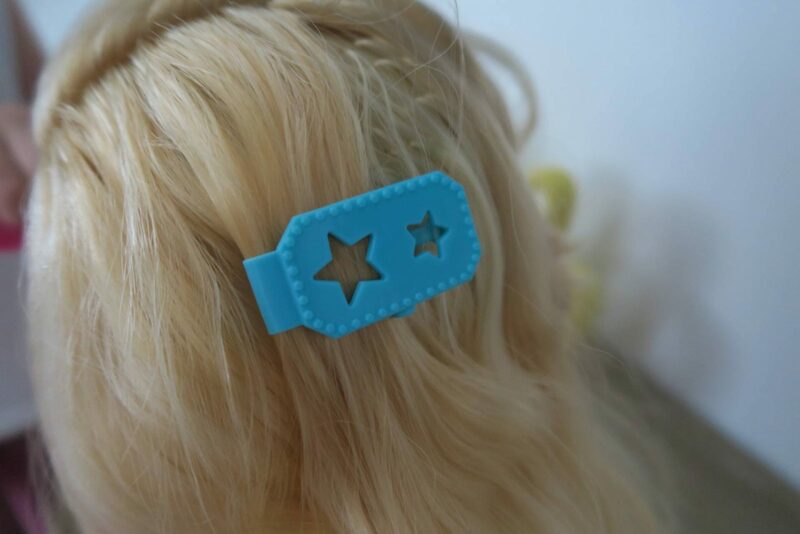 It comes with three hair clips, all different colours and with a different design. They are easy to put in and both my girls aged 3 and 5 years old can manage it. 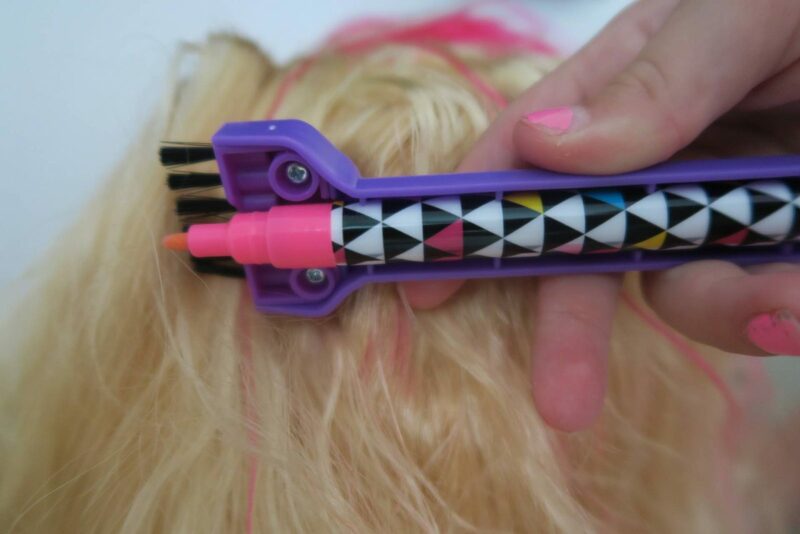 You can use the pink marker to then colour in the hair within the clip design. To make the marker work you first hold the nib down and then shake it. Once the hair is all coloured in the idea is that the you have lovely pretty designs down her hair. The reality is that when you take the hair out of the clip, because naturally the hair will move slightly, it does look more like a blob. But the girls didn’t care and this was one of their favourite things to do. I was really impressed with some of the features it came with. If you fill the yellow mixing bowl up with icy cold water and dip the applicator in the icy water and apply on her lips, her lips will actually change to pink. Because our Barbie came with lipstick on we did the reverse to remove the lipstick. To do this you need warm, not hot, water and again with the applicator dip it in and apply to the lips. You can see in this photo below, where she has some lipstick still on and the rest its slowing coming off. For my girls this was amazing! Our hairdresser comes to our house and the girls love it. As soon as Alice has had her hair done, my hairdresser gives her a comb and some clips to do her dolls hair. So, you can imagine how excited Alice was when she saw that it came with mixing brush. She squealed ‘look mum it’s just like the one our hairdresser uses’. It’s really simple and effective to use. 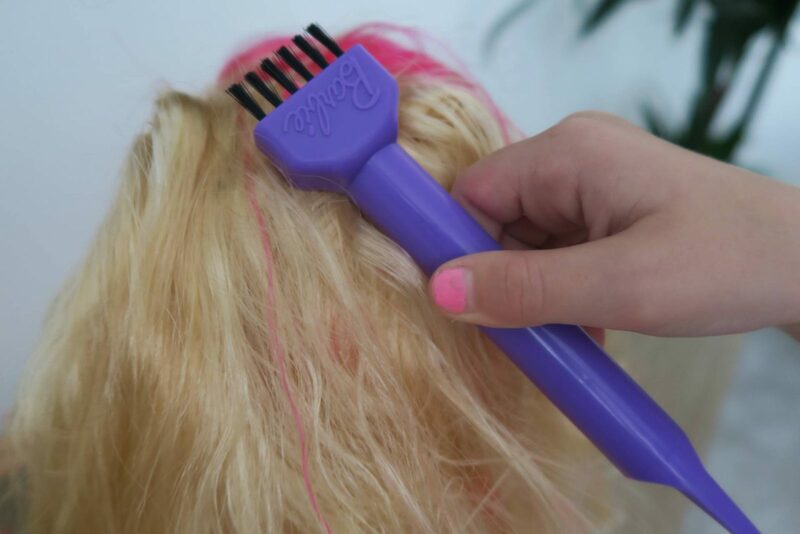 You clip the pink maker pen into the back of the brush and you are all set. 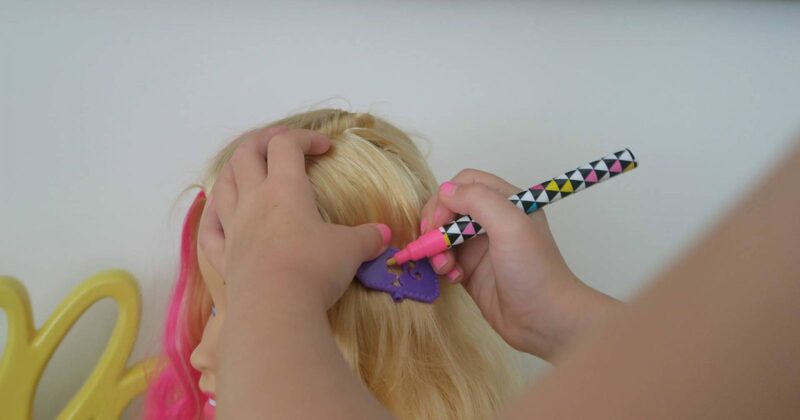 Then as you use the brush, the pink goes onto the hair. Alice felt like a proper hairdresser doing this. 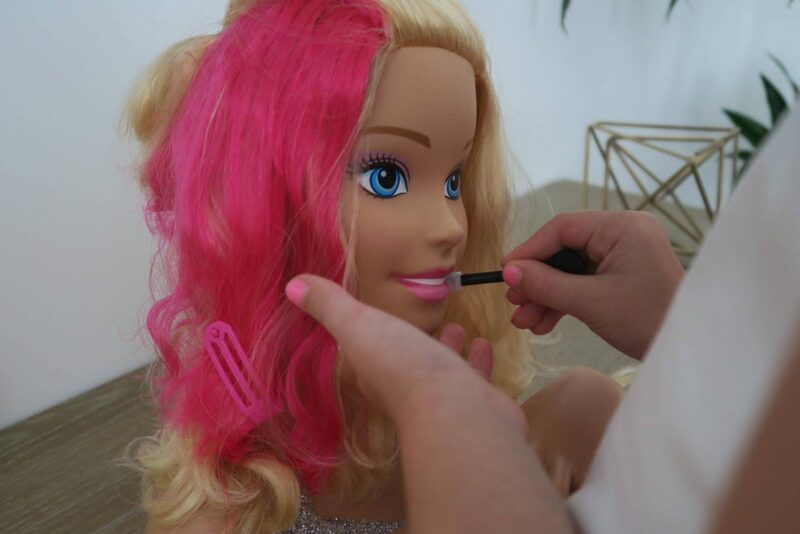 The Barbie styling head also comes with two hands! Which I have to admit looked a bit strange to begin with, but they do actually move and you can do her nails. In a similar way to the lips, you apply the same principle to the nails. If you use the icy cold water, they are a natural pink and if you use warm, not hot, water they are a more dramatic pink. The fact she has two hands is even better, as the girls can do a hand each! 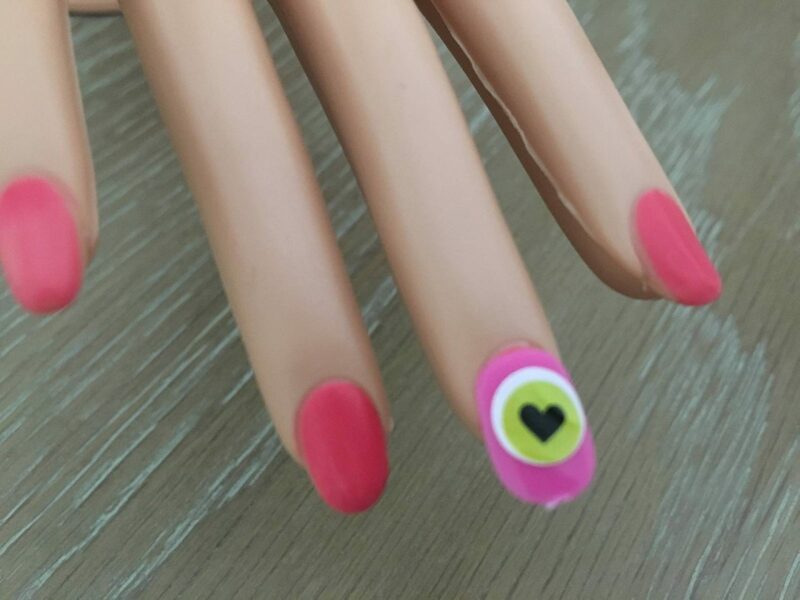 The final feature that Barbie has is you can add stick-on nails. Alice hasn’t seen these before as they are not something that I wear. You have 2 nail wheels, a pink and yellow one, along with some adhesive stickers. You apply the adhesive sticker to the back of the nail and then remove the white part. 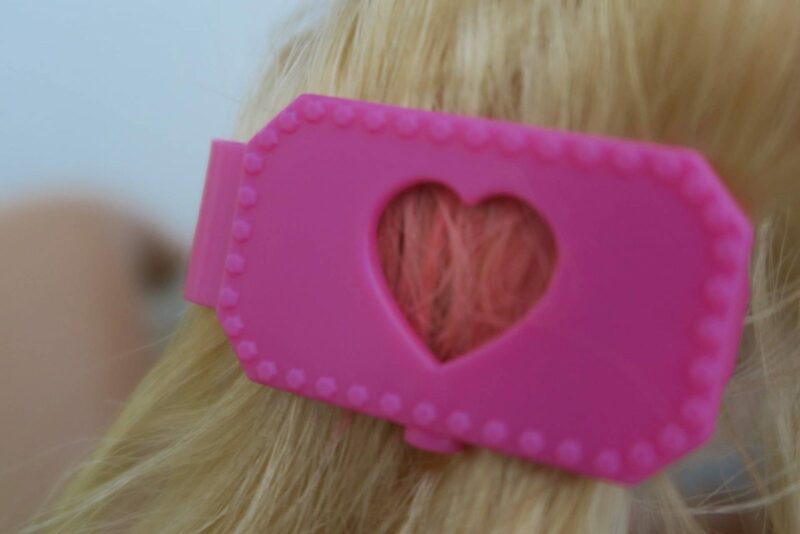 This leaves a clear sticker on the nail, allowing you to stick the nail onto Barbie. 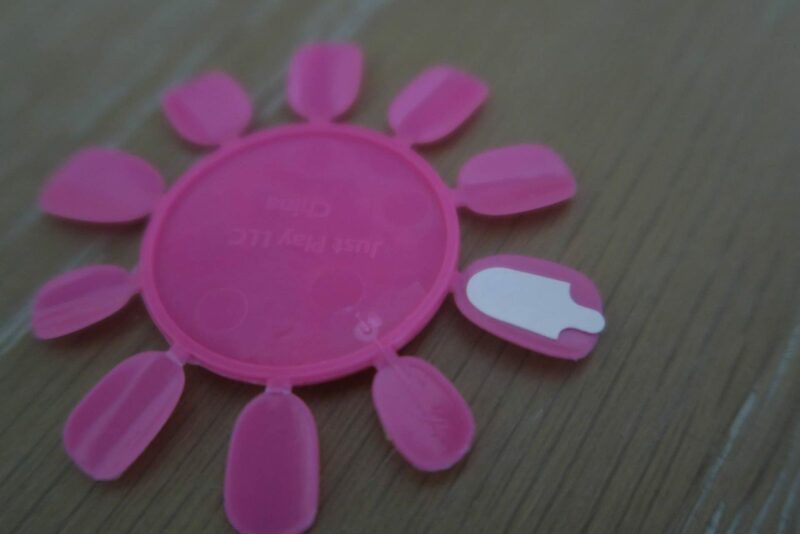 You also have a selection of stickers that you can then pop onto the stick-on nail. 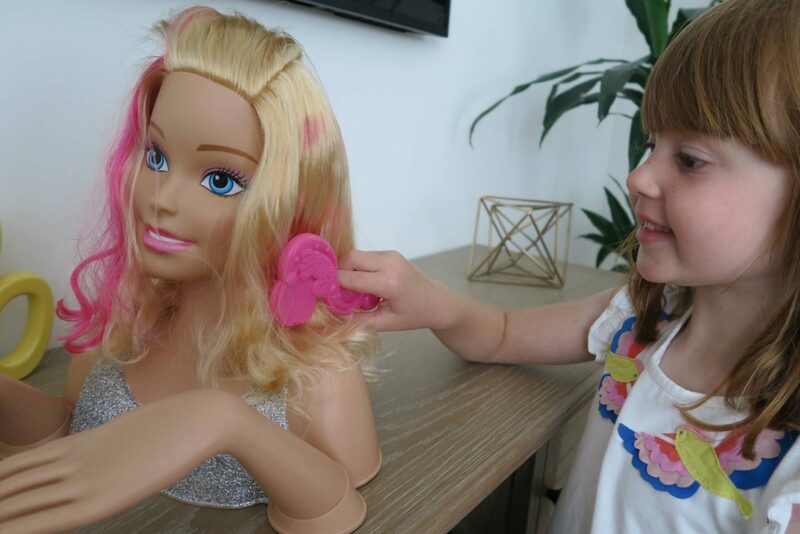 With so much to do with the Barbie Styling Head, it kept my girls entertained for ages. Its’ something that they have returned to play with again and again. 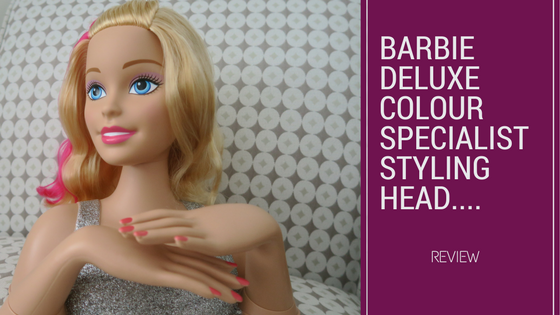 You can buy the Barbie Deluxe Colour Specialist Styling Head from Very, it has a RRP of £39.99 and is recommended for age 3+. Also available in the range is the Barbie Dreamtopia Styling Head, RRP £19.99. I love how it inspires imagination play and they love playing the role of the hairdresser or the beauty stylist. At the moment Alice wants to be a teacher when she grows up, but I wouldn’t be surprised if that changes after playing with this some more. 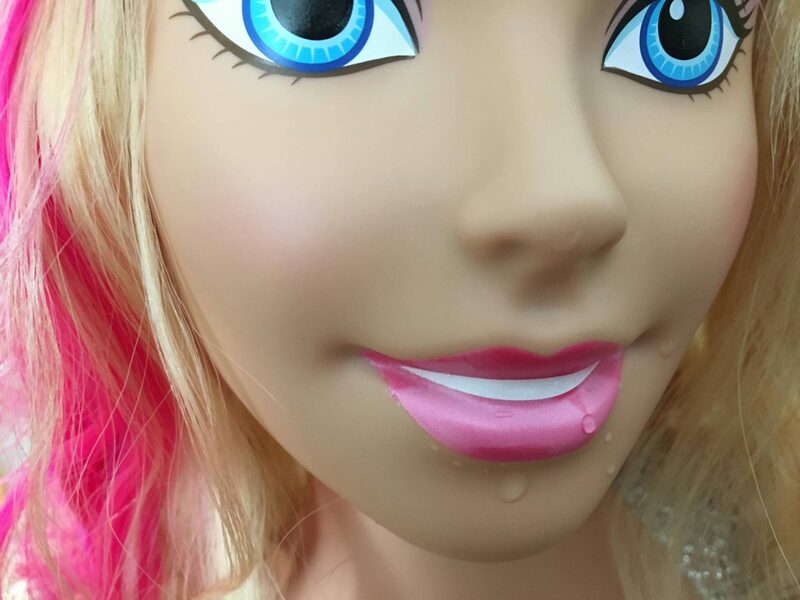 Disclosure: We were kindly sent our Barbie Styling Head in return for an honest review. All views and opinions are my own. Ahh I love these photos as I just know that your girls would be as excited about this as mine are!! To be honest, I was quite excited too – I never had one of these as a child and really wanted one! Fab review as always! It’s amazing just how popular Barbie remains to this day! This looks like a lovely toy for young ones which sparks their imagination! I had a styling head when I was little and it was my FAVOURITE thing. It wasn’t as cool as this one. My niece would love this. Just nowhere near my carpets!! Wow that is one super styling head some of the additional features really make it stand out from the rest as you say. This would keep my daughter entertained for hours! Oh my daughter would love one of these! What a great styling head!! Oh how fun! My friend had one though when we were little and I used to love going there to play. It’s such a great toy for role playing. The features look like they have come on a lot. My daughter would adore this styling head. She has a similar one.